At Hawk Chrysler Dodge Jeep, we understand that when it comes to ensuring the safety of you and your family while on the road, few things are more important than routine brake service. After all, being able to stop at a moment's notice, especially in a panic situation, can mean the difference between experiencing only a frightful scare or a full-blown auto accident. From your brake pads to your rotors, wheel cylinders, brake lines and calipers, each component must be in good working order for your vehicle to have 100% brake system effectiveness. We recommend having your brakes inspected during each oil change, or at least every 6,000 miles. For swift and thorough brake service you can count on, visit our Hawk Chrysler Dodge Jeep auto service center near Chicago, Illinois today. 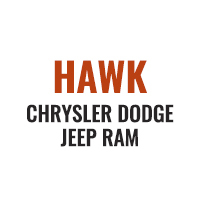 For years, Hawk Chrysler Dodge Jeep has provided customers throughout the Chicago, Naperville, and Aurora, IL areas with superior automotive service, maintenance, and repair. Located near Chicago, IL, drivers from all over Illinois choose our certified auto dealership for the unprecedented level of care we provide for you and your vehicle. Whether you’ve stopped by for your next oil change, tire rotation, or brake service, our expert mechanics are committed to providing timely auto service while keeping you safe on the road, always! For added convenience, take advantage of our no-appointment necessary Mopar Auto Service Express Lane today. See you soon! While your brake system is by far the most important safety system on your vehicle, there are many other parts that require equal attention in order to ensure their safety and longevity. If you need an oil change, brake service, fluid replacement, or any other automotive maintenance or repair near Chicago, IL, Hawk Chrysler Dodge Jeep has you covered. For more information about the auto services we provide or to schedule your next appointment, feel free to contact our auto service center by phone or come see us in person today!